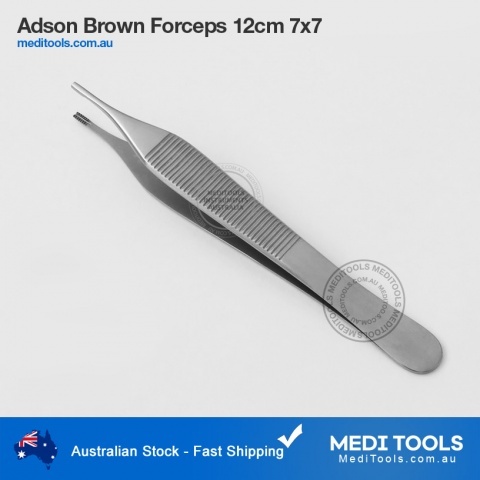 Thumb Forceps or Tweezers are spring forceps used for manipulating, grasping or holding tissue. 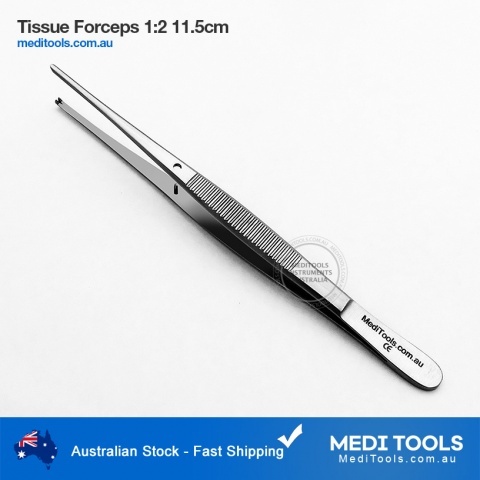 Thumb forceps are very easy to operate as these can be operated by compressing between thumb and finger. 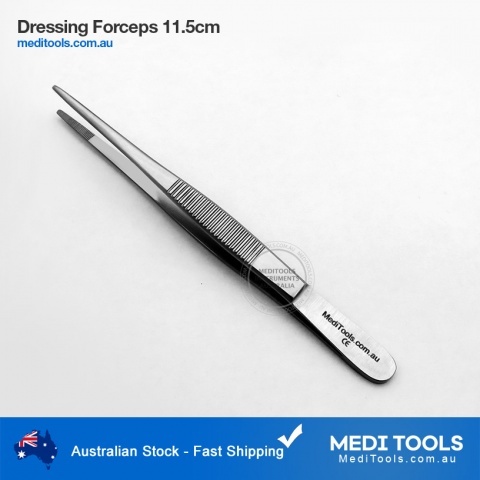 Thumb forceps are available in wide range of sizes, shapes, and tips. 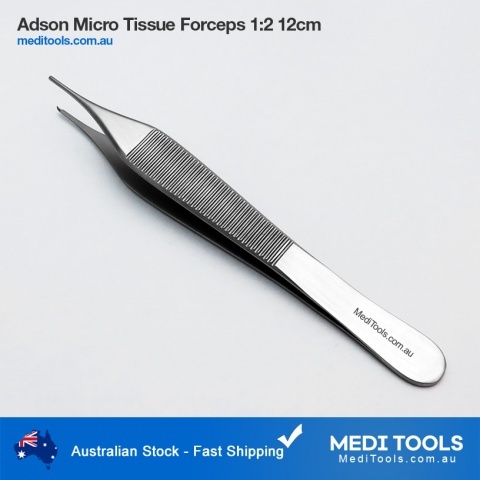 Tips can be flat, serrated, toothed, cupped or grooved. 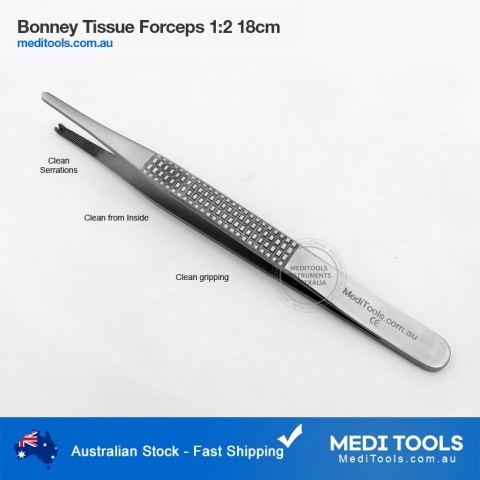 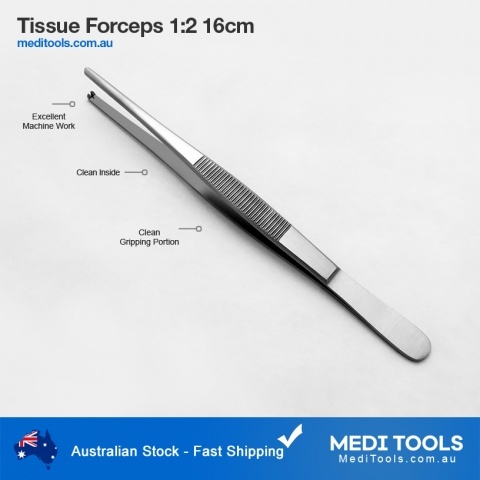 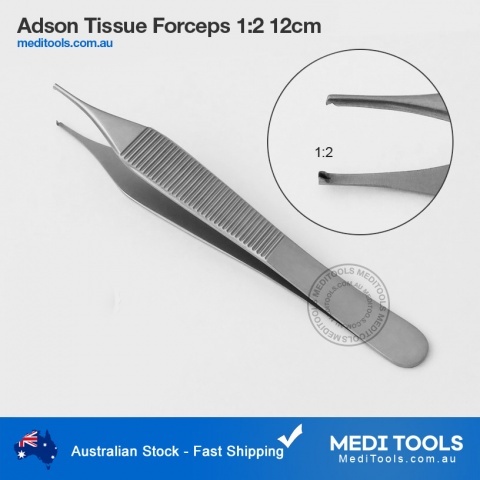 Serrated or teeth forceps may be used for grasping the tissue because these require less force to hold tissue. 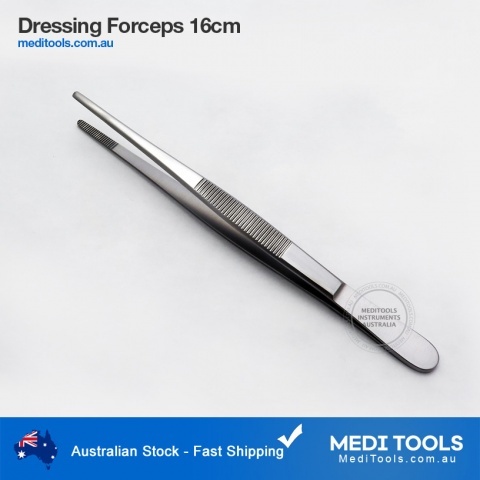 Forceps with serrated teeth are also called dressing forceps, while forceps with tooth may be called as tissue forceps. 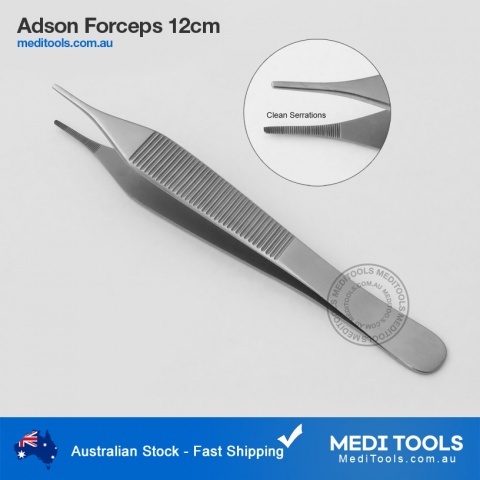 Adson forceps are most commonly used in various procedures. 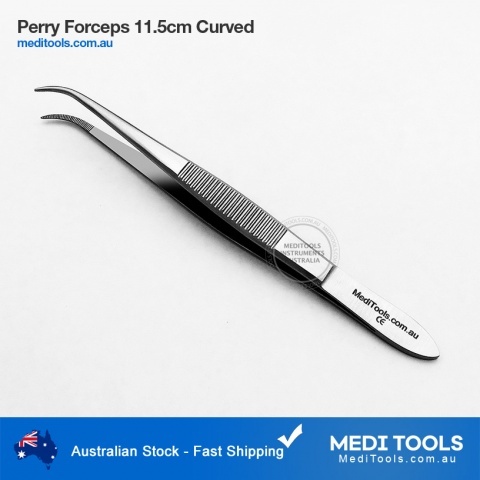 These forceps have wide thumb area for better control. 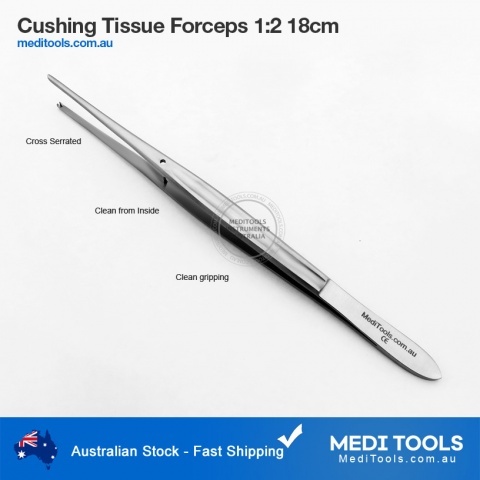 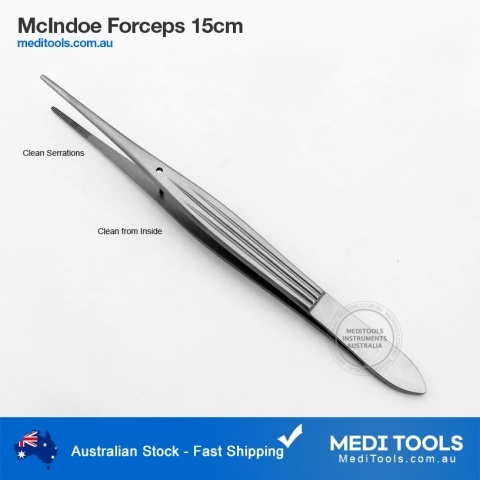 McIndoe, Rat Tooth Forceps, Cushing, and Tissue Forceps are also common. 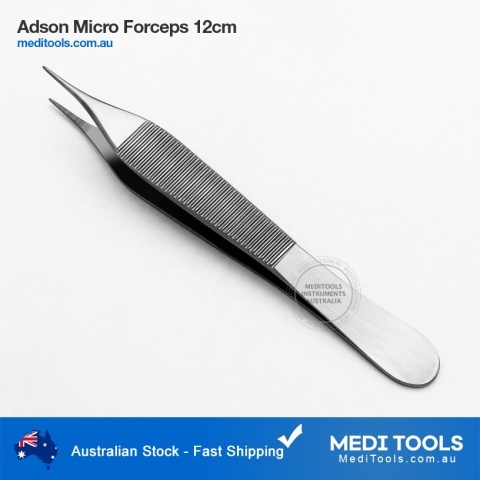 MediTools forceps are individually handcrafted for precise control. 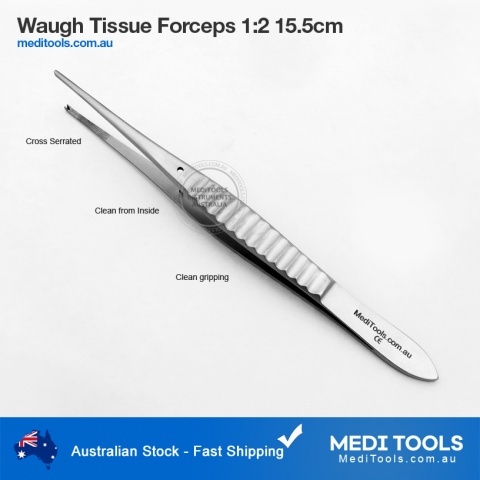 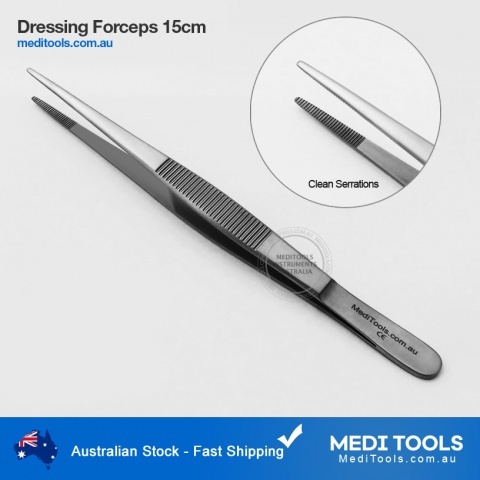 Forceps have matt finish from inside to avoid reflections and matt polished from outside for durability.